Vinyl fences are a common choice in Minnesota as they are maintenance free and will last for years. 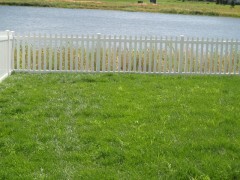 In fact, the only thing you have to do to keep one looking brand new is to hose it down every so often. 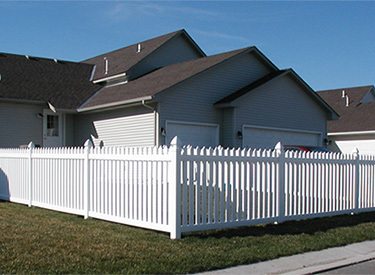 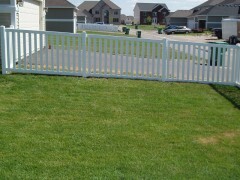 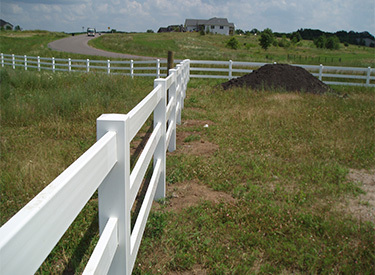 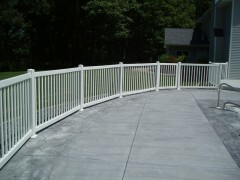 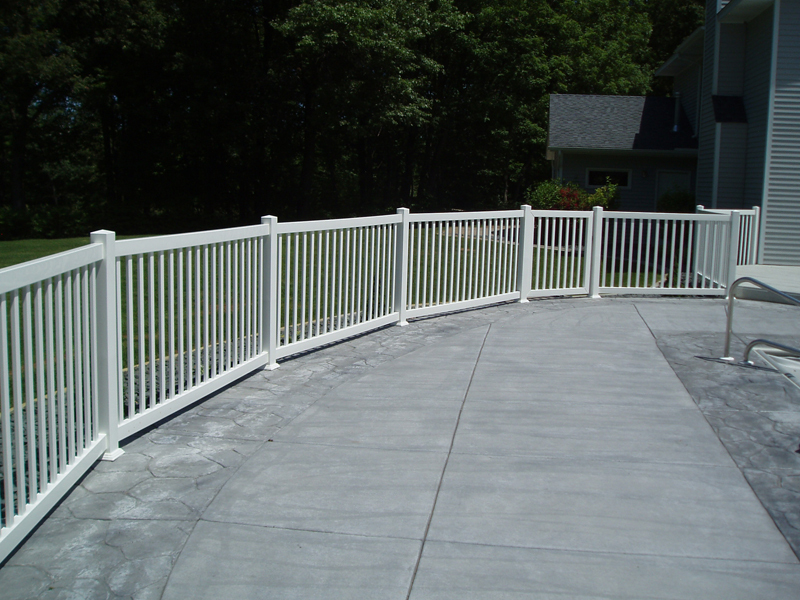 Arrow Fence Company installs many types of vinyl fences for homeowners in Minnesota. Our fences are great for a variety of uses so that property owners can get exactly what they want and nothing else. 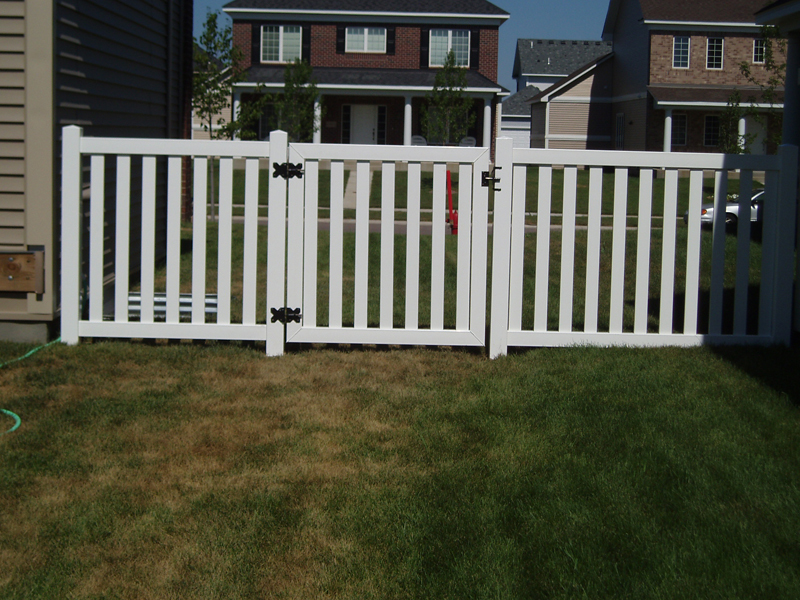 Below are the styles of fence that we install at Arrow Fence Company, and the best part about all of them is that they are virtually maintenance free. 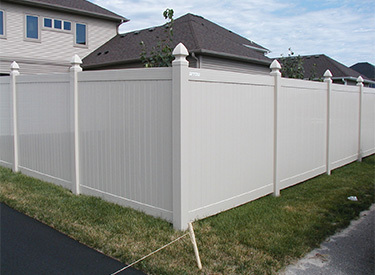 Vinyl privacy fences are a great option for those who want a privacy fence but don’t want to have to worry about the maintenance or possible deterioration of wood. You also have your choice of colors when you choose to have a vinyl privacy fence installed on your Minnesota property. 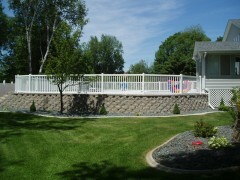 Privacy fences are great for muffling sound and limiting views from nosy neighbors. Also, they keep pets and young children contained as well as annoying neighborhood pets out. 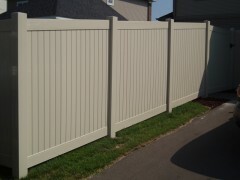 If you want to keep your home your home, a privacy fence is a great idea. 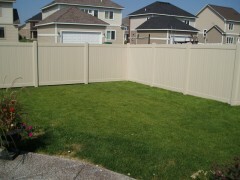 A vinyl privacy fence from Arrow Fence Company will look great and last for years. 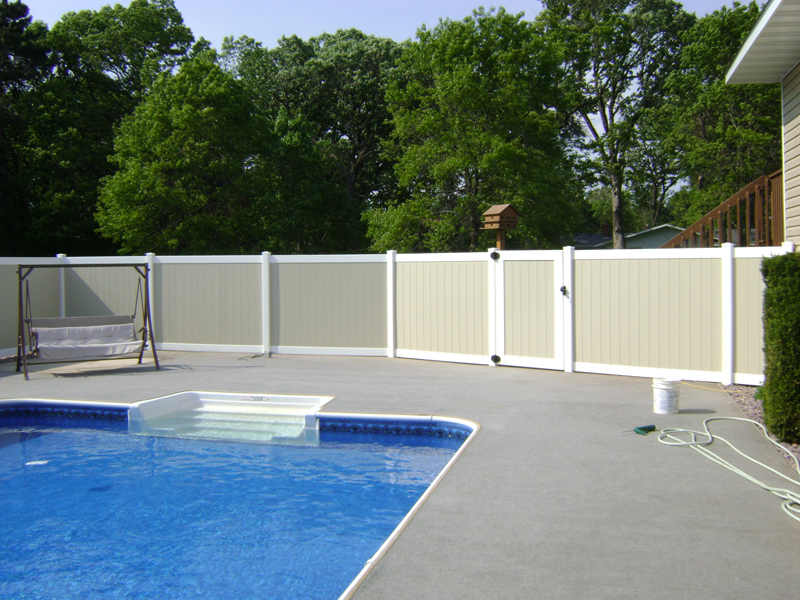 Vinyl semi-privacy fences are a great option for people who want to give themselves some form of privacy while also allowing wind and sunlight to pass through. 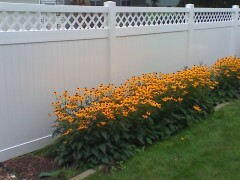 This is a good choice for anyone who might have a garden in a corner of their yard. 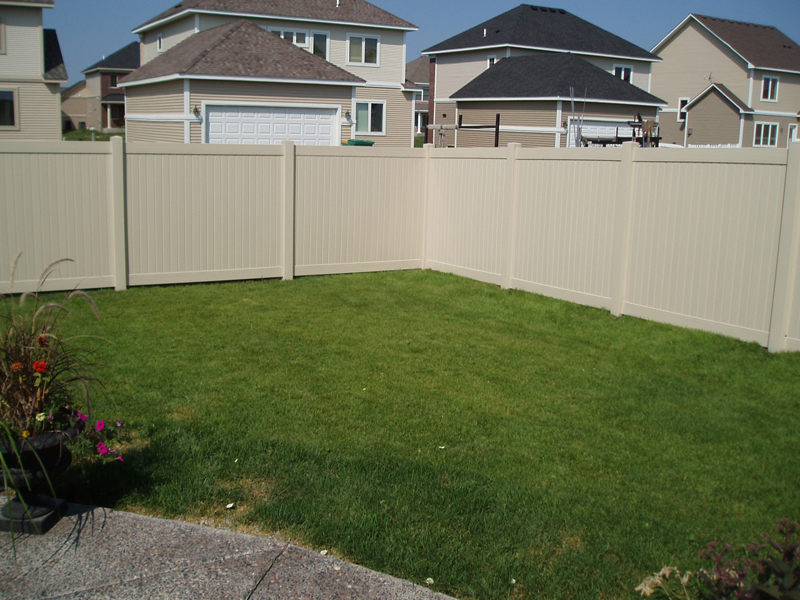 In this case, a privacy fence, depending on what corner, might limit the amount of sun the garden would get and therefore stifle growth. 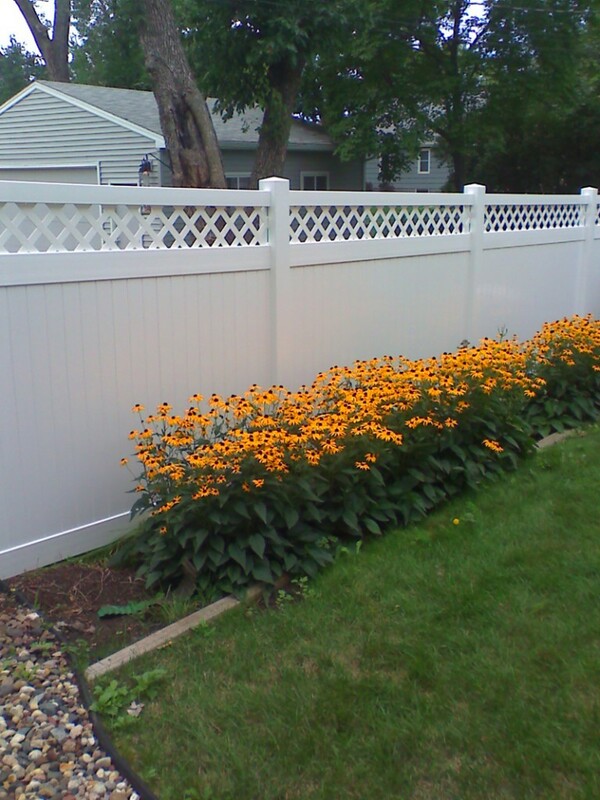 But a semi-privacy fence, whereas not as private, would allow for this type of garden to continue to get sunlight while also giving the homeowner some form of privacy. 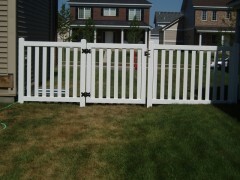 And, of course, they also are good for keeping young children and pets in your yard. 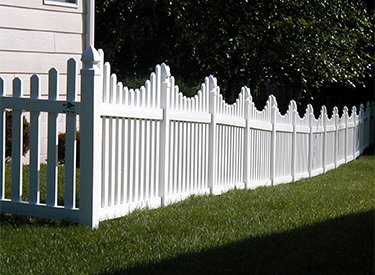 A vinyl semi-privacy fence from Arrow Fence Company will look great, is customizable with a wide variety of top options, and will last for many years due to its maintenance free construction. 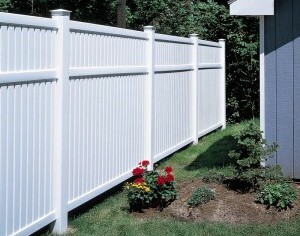 You really can’t go wrong with one of these fences. 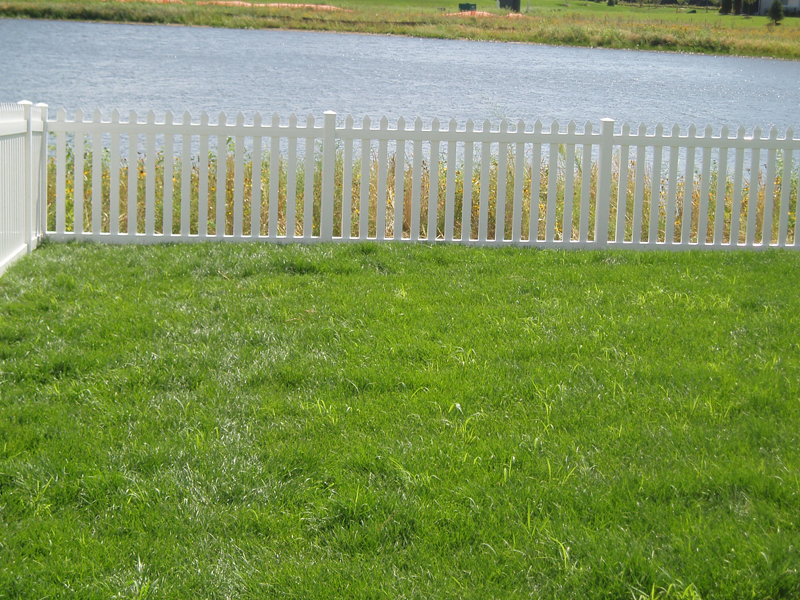 Vinyl picket fences are a frequent choice for people who want a picket fence but don’t want to bother with wood. Because the vinyl fences that we install at Arrow Fence Company are all maintenance free, many people choose this option for their fencing system. 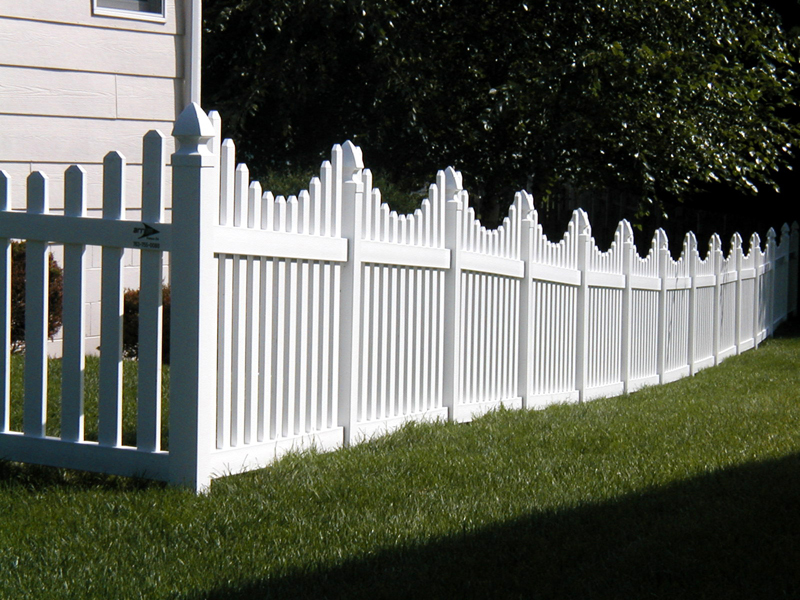 Vinyl picket fences will last for years and you never need to worry about them. 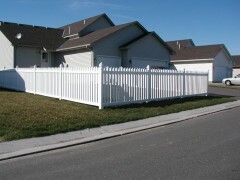 They will also keep pets and young children contained while providing the open feeling that you can still talk to your neighbors. 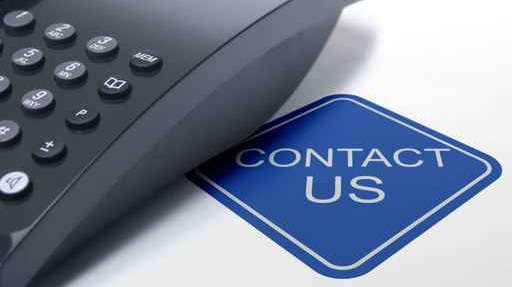 For all types of vinyl fences, and for professional and courteous installation, contact Arrow Fence Company today at 763-755-0088. 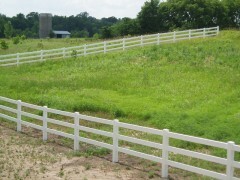 You’ll be happy you did.